Would using the cypher labs mini USB/lightning cable be capable of bypassing the need for the CCK? Paul: Unfortunately not. The CCK enables output of a UAC1 digital audio stream. The cable above lacks Apple’s USB authentication circuitry, so it can only be used with MFi certified devices. Just tried it with a fiio e17, doesn’t work. So if I’m going from iPhone 5S to a small desktop amplifier that has a USB type B input (Topping VX2), will I need the hub? Or can I get the apple cable & connect it to my USB A to B cable ? Scott – Check with the DAC manufacturer. 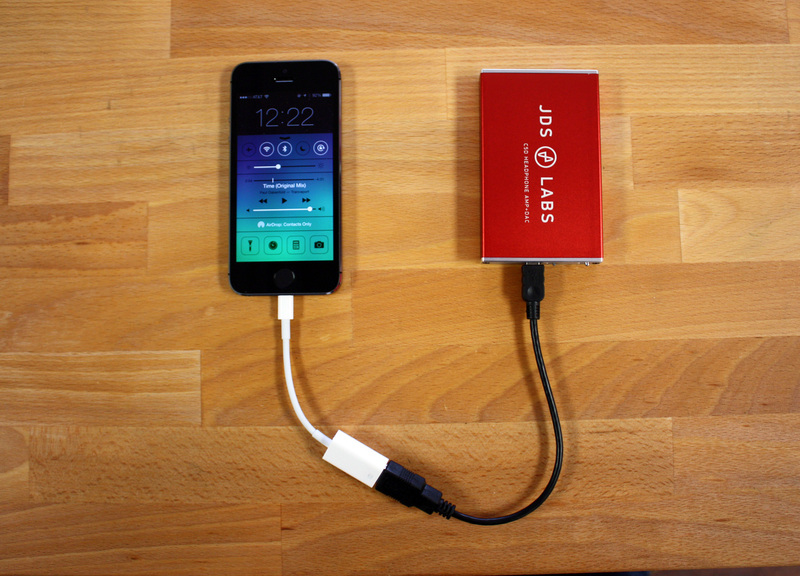 Self-powered, UAC1 DACs need the suggested Apple Lightning to USB cable. Only MFI certified DACs can use an ordinary USB cable. Bus powered UAC1 DACs may or may not require a hub, depending on the DAC’s configuration and Apple’s latest iOS requirements. thanks for the quick reply – I have no idea who makes the DAC – its integrated into the Topping amplifier. The amp did include a USB 2.0 A-Male-to-B-Male if that means anything.